With every stage of planning your website experience, you should be asking yourself — “Who’s the audience this is targeted toward?” From navigation, to content, to design and conversions, how your target audience interacts with your website and online experience is integral to its success. When you’re tackling a new website build or redesign, and it’s time to think about your site’s navigation and information architecture, keep your audience language, literacy, and understanding at the top of your mind. To help meet these users where they are, many organization outline specific reading levels in their web style guide. In 2005, Jakob Nielsen recommended users rely on a sixth grade reading level, keeping content as simple and easy-to-digest as possible, from navigation and microcopy to body content and metadata. If you’re unsure about the readability of your content or navigation items, consider running through a Flesch-Kincaid reading score, available online. Designed specifically for the English language, the Flesch-Kincaid score can help define a text’s level of difficulty. This will also help shape your information architecture as you can find more user-friendly, easy-to-use phrases or words that will make sense to your audience. You can also use helpful, free online tools to help tighten and simplify your content, such as the Hemingway App, which highlights your text for run-on sentences, advanced language or reading levels, and complex sentences that may be difficult for some audiences to understand. Depending on the industry you serve, you may have a wide divide between what your audience understands and what you understand as an industry expert. 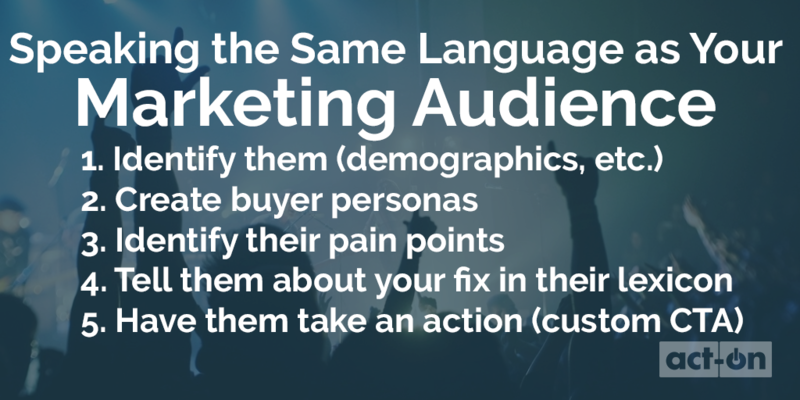 Because of this, it’s best to lean in the direction of the audience, who’ll likely rely on keywords that make sense to them to find you or your brand. Many other industries — including financial, insurance, home or vehicle repair, medical devices, and more — may find it difficult to switch from jargon to more user-friendly language, but it’s good practice that translates to your potential consumers finding your brand and doing business with you. Nielsen Norman Group has some helpful tips for eliminating jargon and building content for specialized audiences. When you’re building a new information architecture to attract more users and consumers to your brand, start with keyword research. By reviewing common keywords in your industry — and how users apply them to search experiences — you’ll be able to build an information architecture and website experience that connects with someone on the other side of the screen. For more information, check out Moz’s keyword research for beginners guide to get started. By comparing your inside knowledge with search queries of real users, you’ll have a better understanding of how consumers are seeking your services or products. With all this talk of focusing on your audience, it can be easy to assume that an audience-based navigation is the way to solve the problem. This is a common, albeit incorrect, assumption. Audience-based navigation lumps certain tasks or information architecture items together based on the self-identified “persona” available to the user. For example, a “for buyers” might provide navigation items for pricing and packaging, or product features. It’s hard to know what to call people. Internally, your brand might consider “buyers,” or “office professionals,” but the people on the other side of the screen may not group themselves that way. You may be sending users away from information they need. As audience struggle to understand where they “fit” within an audience-based information architecture, they may choose the wrong group altogether, leading them away from the information they need most. It causes stress among your users. The last thing you want to do is provide an unsavory experience to your audience. Forcing users to choose who they are to find the information they need can be stressful and lead to no action at all. Many times, your audiences will overlap. So sectioning off content by audience doesn’t always work, especially when content overlaps for various audiences. Read more about audience-based navigation and why it’s best to avoid it with help from user experience expert Gerry McGovern. The long and short of building an information architecture and content experience for your audience is to follow the KISS method: Keep it simple, silly. First thing’s first, before you try to understand your audience’s literacy and language, is to know who your target audience is. Act-On has some great tips for understanding your audience and the marketing language they speak, including user testing and keyword research. By focusing on your user’s language and understanding — and working closely with your designer to deliver a functional experience that meets their needs — you’ll have audiences that don’t only trust your brand and products, but continually rely on you in the future.